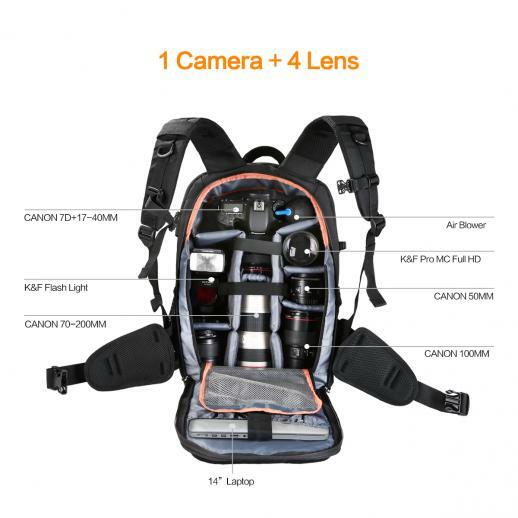 Buy K&F Concept multifunctional large dslr camera backpack for outdoor travel photography 11.41*6.69*18.11 inches online, worldwide free shipping and 30 days return guarantee. 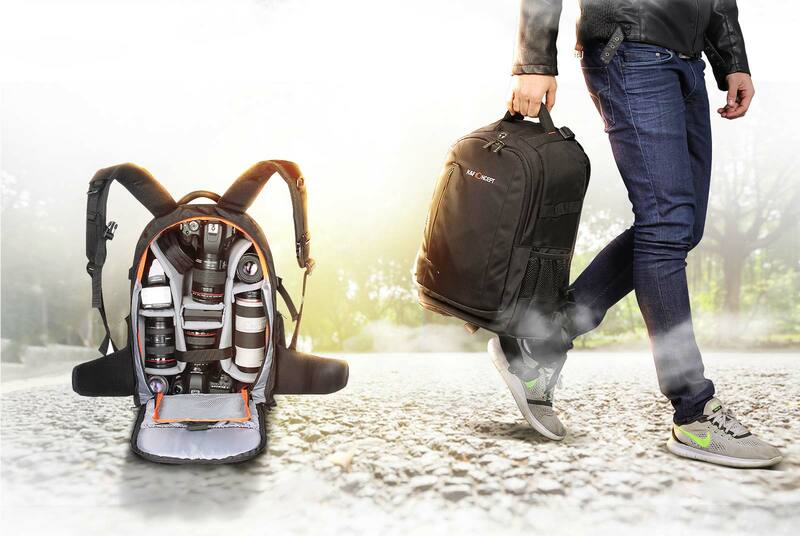 • This K&F backpack with large main compartment holds a DSLR with lens attached while the modular dividers system will separate, organise and protect lenses, flashes tripod and other accessories to suit your needs. 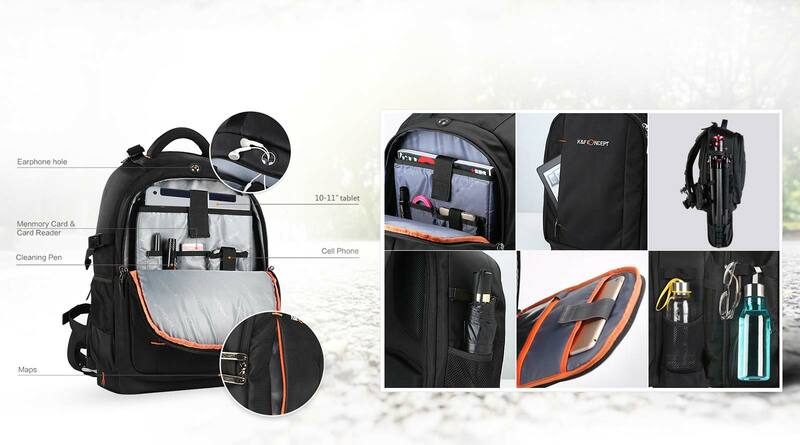 • Featured with adjustable velcro multi-section dividers system that allows for many configurations. The detachable dividers for free combination. Protective foam dividers are fully customizable for your gear. 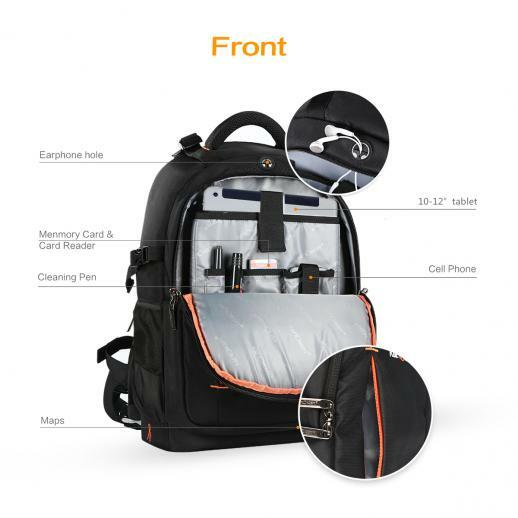 • Various mesh pockets in the lid and the front pocket, perfect for storing smaller accessories. 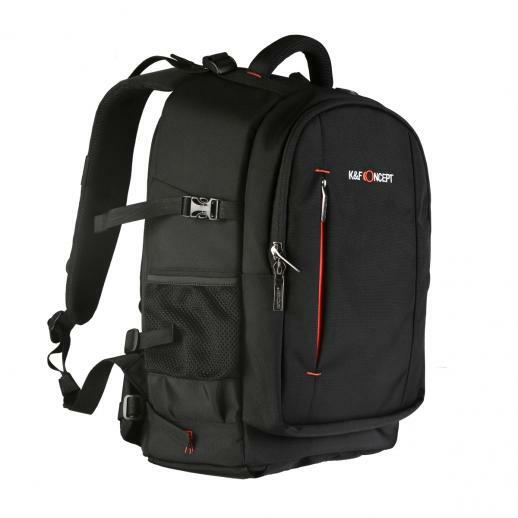 Twin back/shoulder straps are fully adjustable and are padded for user comfort. 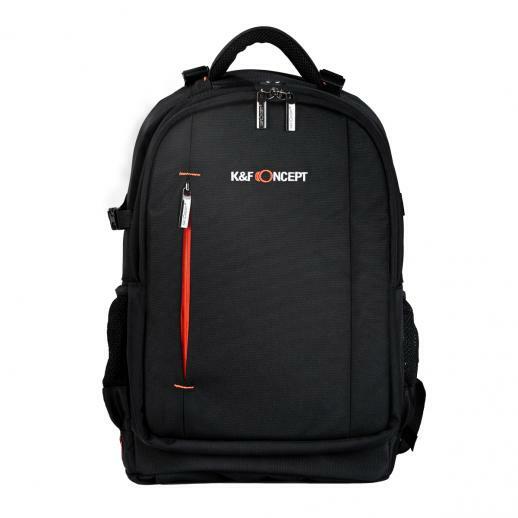 • Ventilate and shockproof design, make you feel comfortable. 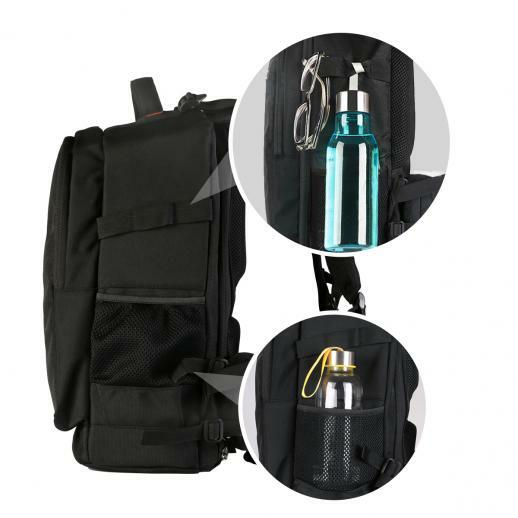 Waterproof zipper design and 900D waterproof nylon material protects against spills and splashes. 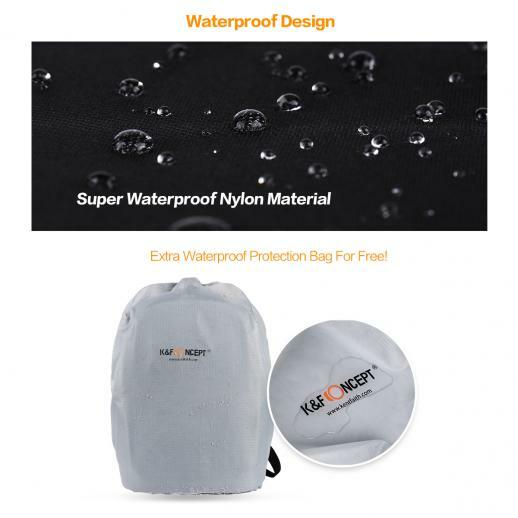 Extra waterproof protection bag for free. 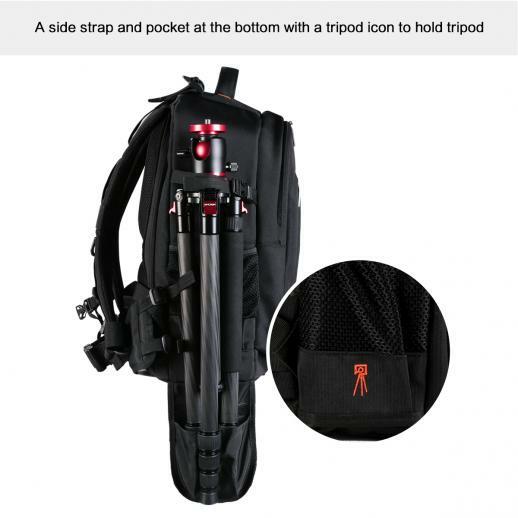 • It has straps around the waist and chest and flaps that come out around your hips. 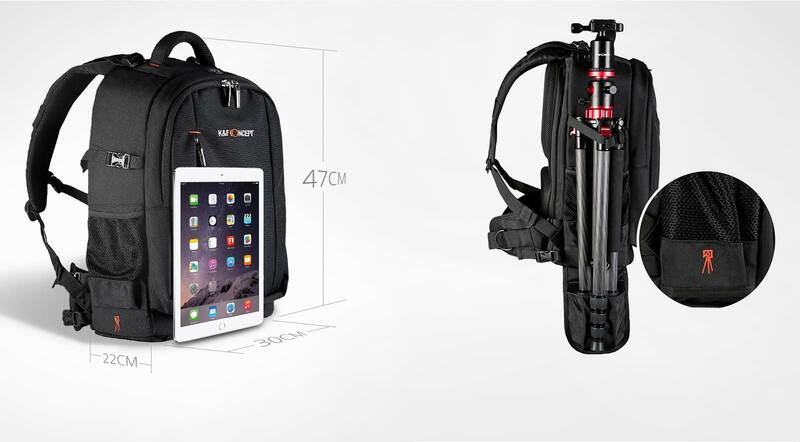 It makes easy to carry for long distances if you strap in tight and it works well as a hiking bag. 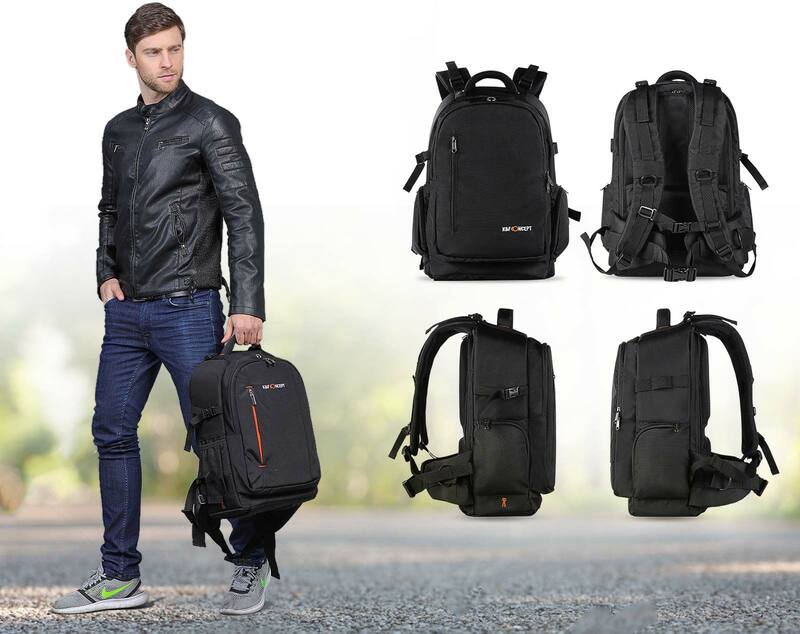 Holds 2 Cameras + 6Lenses + Laptop + Camera Tripod + Accessories; Dedicated pockets for carrying laptop up to 11 ''. 3D padded back for improved breathability and comfort in hot weather. 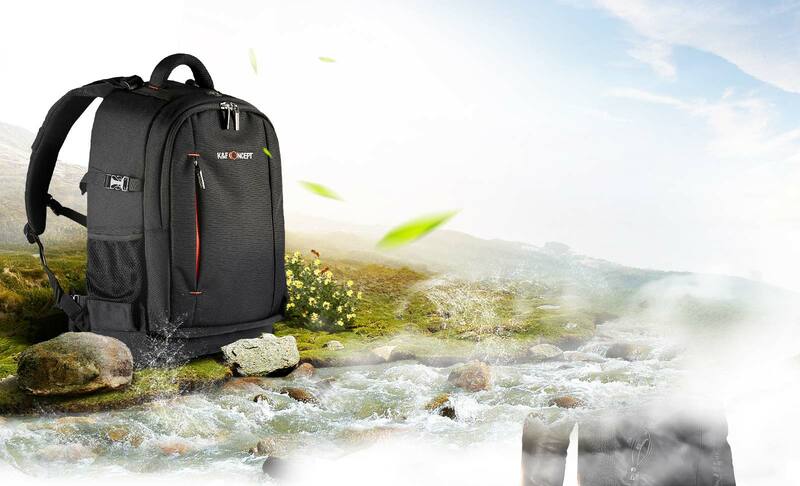 Backpack fabric Breathable, waterproof, abrasion resistant, tear resistant. The thickness is 17.0mm, and the inner surface of the inner layer has 3 layers of foam.